We hate to say it, but creatures dear to us in Micato’s Africa don’t always measure up as dads. Leopard and cheetah dads are somewhat transactional. Put more bluntly, once they mate, they skate. Similarly, giraffe dads don’t linger for long, leaving the parenting to mom… though Africa’s mamas do much of the parenting even if dad does stick around. Perhaps not surprisingly, some of the same qualities that define good dads in the human realm — protectiveness, attentiveness, and in one notable case, surrendering dignity — make for pretty good dads in the animal kingdom. Here now, our picks for the 5 best animal dads in Micato’s Africa. 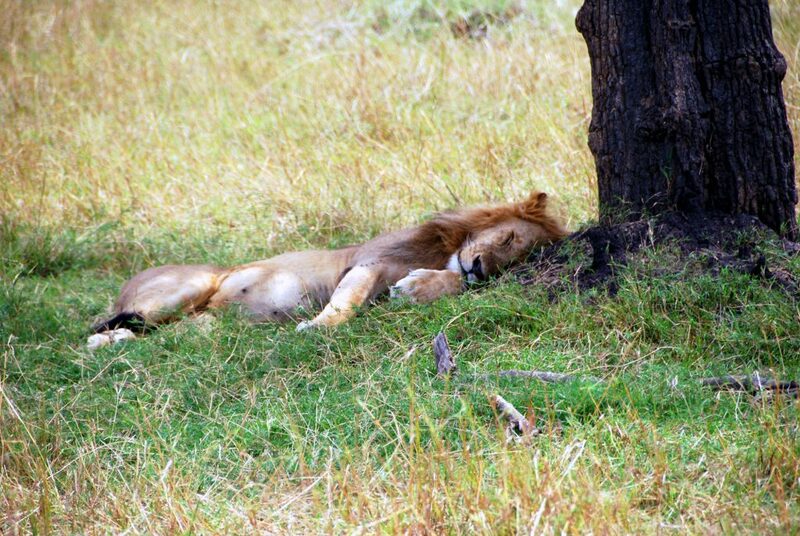 The lowdown: We know what you’re thinking: Male lions are pretty lazy and the mamas — oh how we’ve been waiting for the opportunity to say this — do the lion’s share of the parenting and hunting. All true. Though despite lions not having many predators, if a hyena or leopard does try to attack a member of the pride, papa lion springs into action. Ferociously so. He may not win Father of the Year, especially compared to other dads on this list, but he steps up when things get hairy. Where to see them: Our favourite places for lion watching include East Africa’s gamelands, which you can see on several Micato departures, including The Micato Grand Safari. The lowdown: As this flightless bird brays harshly it’s sometimes known as a Jackass Penguin, a terrific name for a college band but perhaps not as dignified as the bird’s other moniker, African Penguin. But we already digress. These male papa penguins are monogamous and swell at co-parenting, working with mom to raise and feed their offspring. 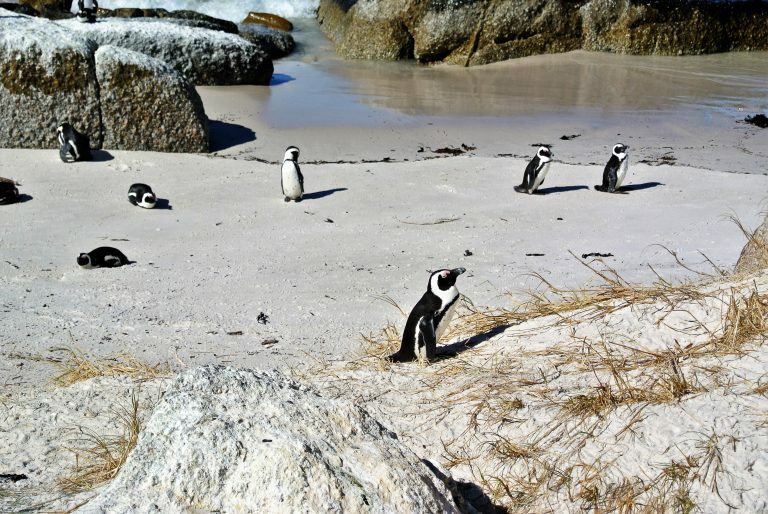 Where to see them: Southern Africa’s Cape of Good Hope, which you’ll visit on The Travel+Leisure World’s Best Safari. The lowdown: Hippopotamus dads, like our African penguin friends, do their fair share of parenting, especially during baby’s first year. When it comes to protecting the family in and around the rivers and lakes in which they live, mom and dad have an interesting division of labour: Mom focuses on protecting their young from dangers within the water while dad patrols the waterway’s perimeter to ward off lions, crocodiles, and other predators who pose a danger to their family. Where to see them: Botswana. 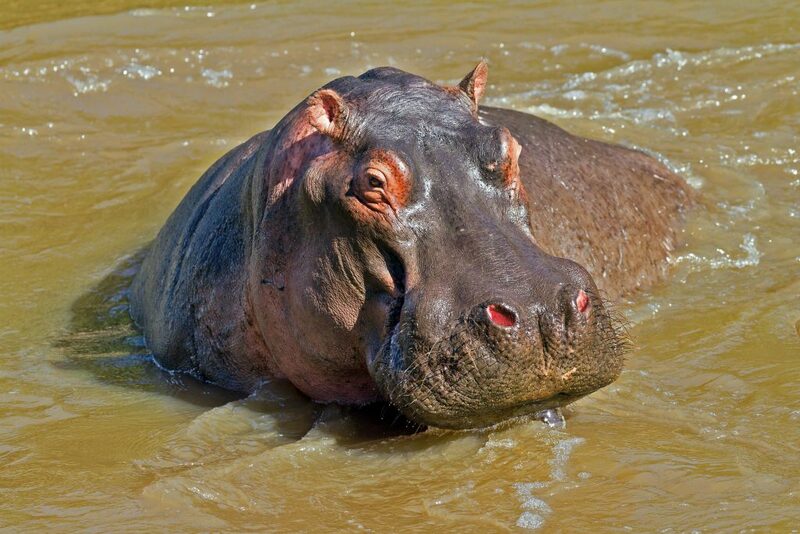 Richard Branson’s Ulusaba Game Reserve, among the places to witness papa and mama hippos gambol, is among the delightful luxury lodges you’ll visit when you venture From Cape to Delta. The lowdown: If these dads knew they had to live up to the name “wild dog” they may not be quite so accommodating, but an African wild dog dad will pre-chew food for his young and regurgitate it for them to eat. This takes baby food to a whole new level, people. 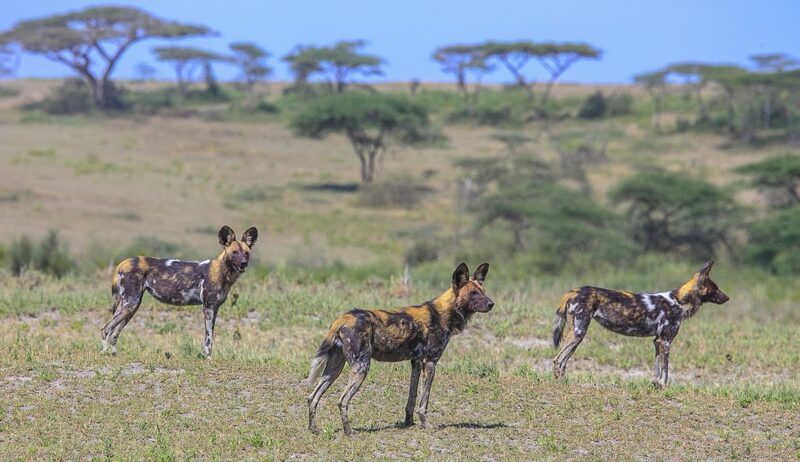 Where to see them: Botswana gets another nod for its splendid population of wild dogs — sometimes known as painted wolves — which you may spy in the Southeastern Okavango Delta region while exploring Botswana’s Timeless Wilderness. 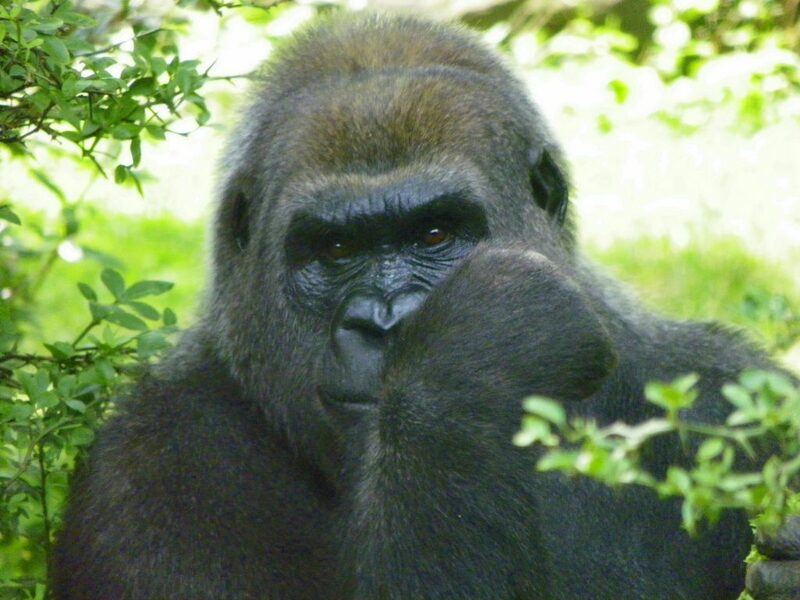 The lowdown: Silverback gorilla dads are known to be very attentive to the mothers of their children and, no small thing among dads in the animal kingdom, they’re, you know, there, spending time with their kids and, we imagine, teaching them such things as how to give stern but soulful looks to human visitors. Where to see them: Rwanda, where you a can track Silverback dads, moms, and babies in Parc Nacional des Volcans.